If the holidays mean anything, they mean tradition: traditions of faith, traditions of gathering together, of gifts and reflection and — most deliciously — food. This season, I've written on my own family custom of burning the plum pudding at Christmas dinner, and of the Druid tradition of wassailing the apple trees. Now, Seven Days talks passed-down desserts — with five super-sweet local pastry chefs. 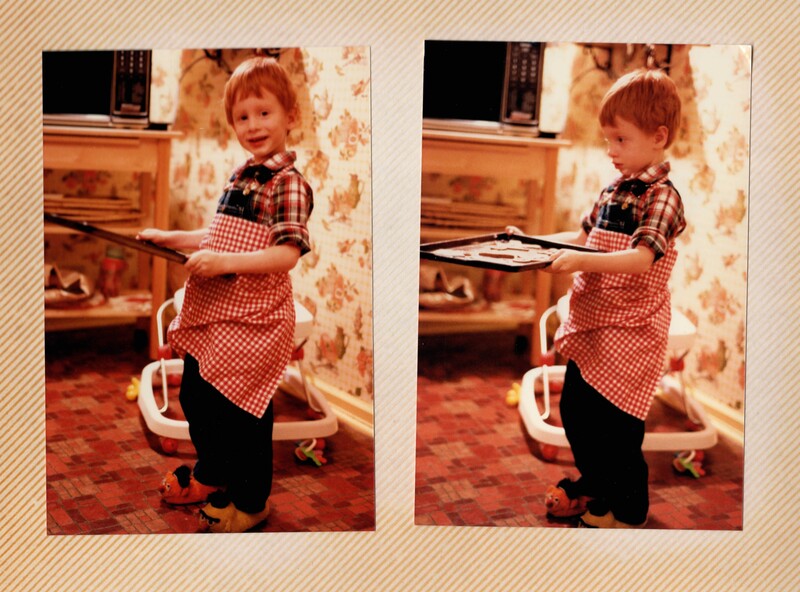 I grew up in Indianapolis, and the biggest thing we did around the holidays was make gingerbread cookies. We have videos of this — and of my sister picking her nose the whole time. I’ll be home on Christmas Eve and my mom will have the dough ready, and we’ll roll it out and decorate them. We use the same recipe here at Hen of the Wood. Next week we’ll be making gingerbread ice cream sandwiches. My dad’s Jewish and my mom’s Catholic. Traditionally, my mom made five different types of cookies. She would make the classic roll-out icebox cookies with sprinkles, and it would be a mix of reindeer and Dreidels. And she was famous for these brown sugar nut cookies that took, like, three days to make. They were beautiful and fragile; they were wrapped better than our Christmas presents. She still makes them every year and sends us all boxes. I’m the only one she’s given the recipe, and it’s because I earned it after years and years of doing it with her. I’m making them next week. My mom bakes an amazing cheesecake every Christmas, or a tiramisu that puts mine to shame. My grandmother and her sisters would rock the pizzelle maker for a few hours and make a couple thousand pizzelles. My mom is 100 percent Italian and every year we had a 3-day cookie-baking extravaganza. 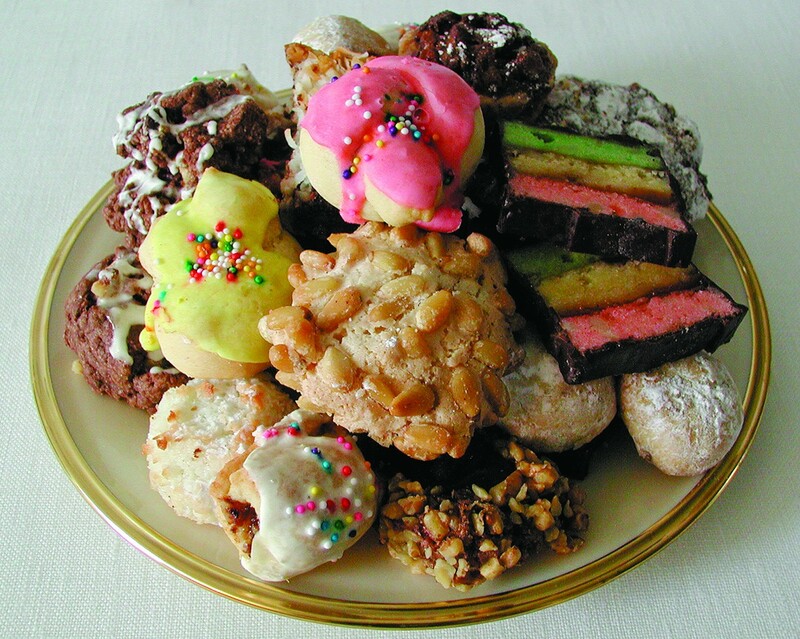 We would make 12 to 15 varieties of traditional Italian cookies: Italian Rainbow cookies, pignoli cookies, Swedish cookies, macaroons. I’ve brought that tradition to the bakery, and my sister and mom and I get together every year and make cookies. We sell them at the shop and give them as gifts to our kids’ teachers, to the post office, to our neighbors, etc. My family owned a pastry shop and there were so many good things to eat around the holidays. But we would make spekulatius, which is a thin, spiced crust cookie or biscuit. It’s only made in December. And then, of course, stollen. It’s a breadlike, yeasted fruitcake with candied lemon and orange peel and marzipan on the inside. Ain't that sweet? Do you have any longtime holiday dessert traditions in your family? Be a sweetheart and tell us about them in in the comments.